Catch basins, manholes, weeping tiles and culverts are all common requirements of ensuring the proper drainage of some surfaces. The team of experts at Forest Contractors conducts all types of installations to ensure the proper drainage of constructed surfaces. We also carry out a variety of repair services for drainage systems, whether it is for commercial or other various properties. Excavation is the act of creating a hole or channel in the ground by digging. 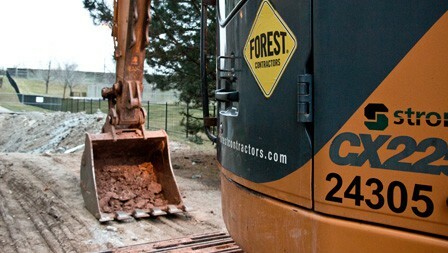 In order to best accommodate our clients, Forest Contractors offers a wide variety of excavating services. Our fleet includes mini excavating equipment to minimize damage in smaller areas, to full-sized excavating equipment to move large masses of material. 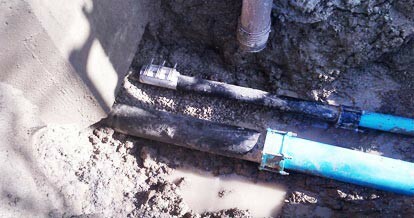 Forest Contractors offers a complete range of storm, water main and sanitary line services. 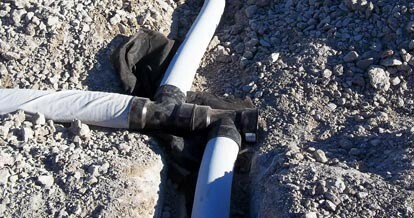 Whether your project includes a repair to a water main connection, laying a storm drain to draw water away from a collection area, or installing a lift station to pump out waste to higher lines, our efficient team of highly trained experts can take care of all of your pipeline needs.